Russell Wendell Simmons (born October 4, 1957) is an American business magnate. He cofounded the hip-hop music label Def Jam and created the clothing fashion lines Phat Farm, Argyleculture, and American Classics. Married to Samantha Simmons of East Providence RI, Simmons has been described as the third richest figure in hip hop, having a net-worth estimate of $340 million in 2011. 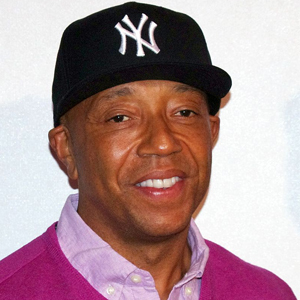 Russell Simmons is often called the godfather of hip-hop. He’s a fascinating guy and entrepreneur. This book is a quick, straight-to-the-point guide to meditation written in a style that makes you feel like you’re having a chat with Russell. Super simple, fun, practical. Big Ideas we explore include: how to deal with the #1 excuse for not meditating, and the #2 excuses + how meditation benefits your focus + creativity and how make your amygdala quit acting like an annoying car alarm. Russell Simmons. Part vegan-yogi. Part pop icon. 100% awesome. (And *really* funny. :) In PN - Volume I we did a Note on his great book Do You! and I’m excited to share some of my favorite Big Ideas from this fun weekend read as well. Favorites include getting on the right train, becoming a business yogi, the power of hard work, and cleaning out the junk mail in our minds! Who knew the Godfather of hip-hop was also an incredible yogi and spiritual teacher?!? In this Note, we'll have fun learning how to "Do You!!" as we tap into the importance of having a powerful vision for our lives, the fact that a mantra is literally a "tool of thought" we can use to shape our minds, and how important it is to take the next baby step in front of us as we give ourselves most fully to the world.